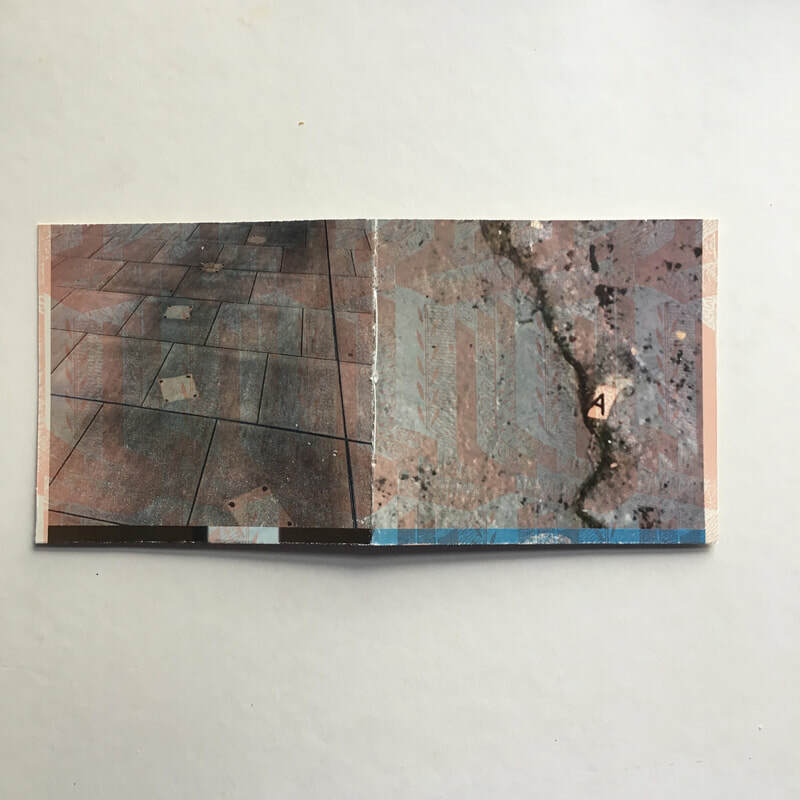 In this Juxtaposition series, I have combined images from different places, exploring scale and placement and taking advantage of accidental printing. 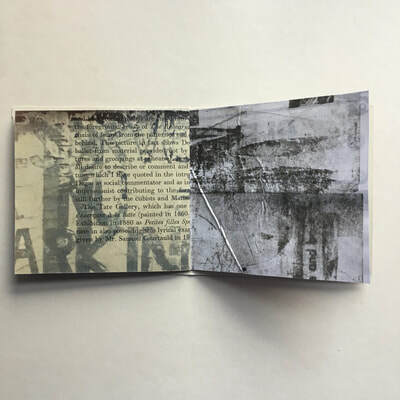 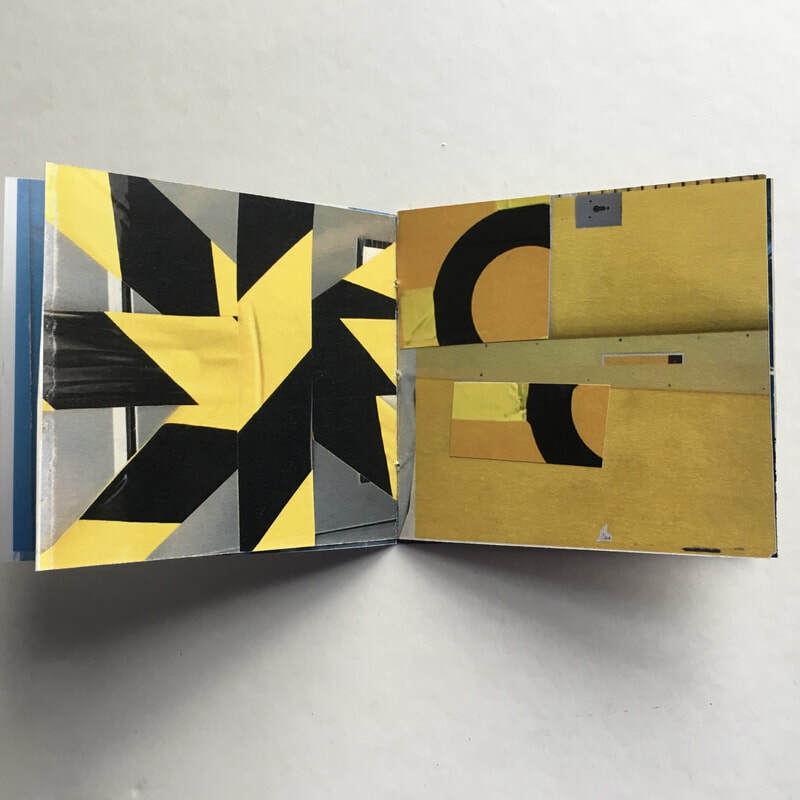 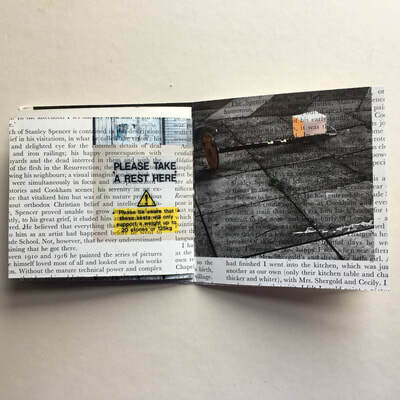 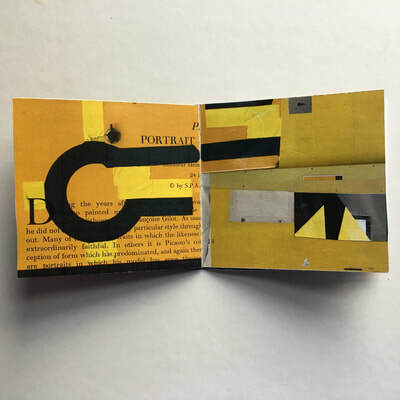 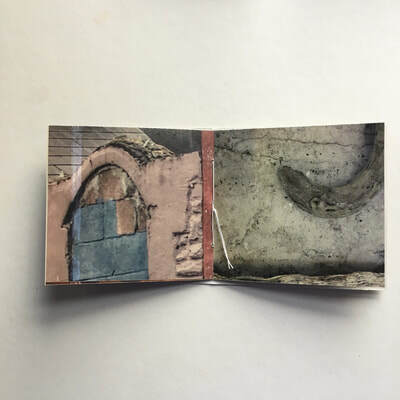 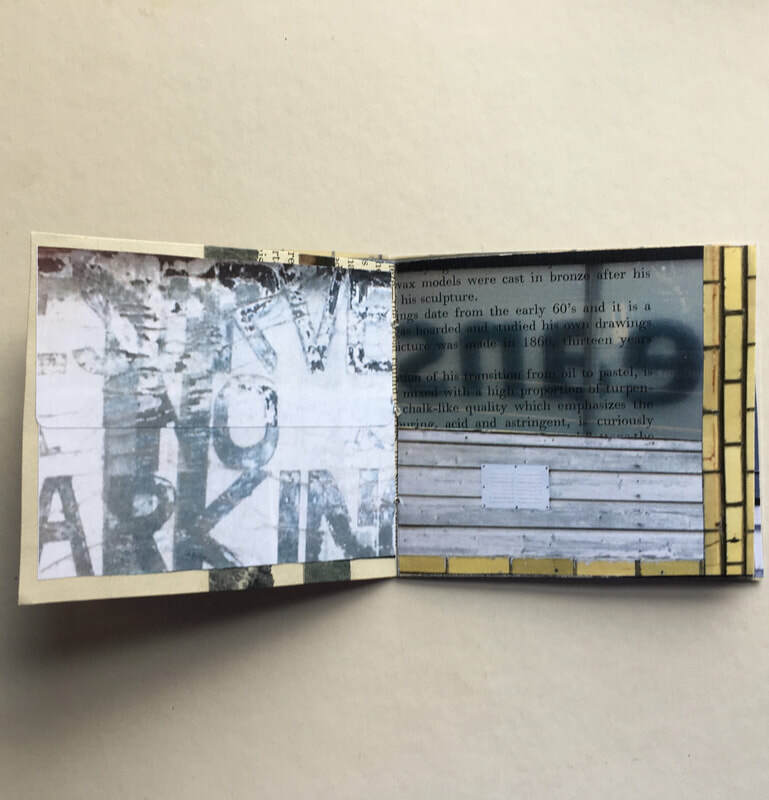 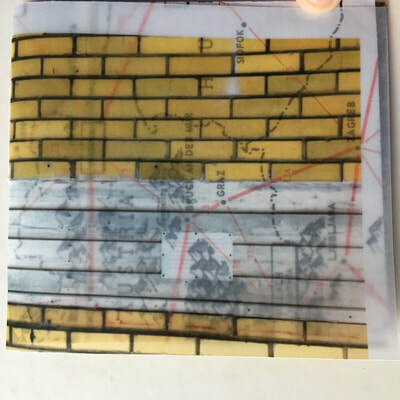 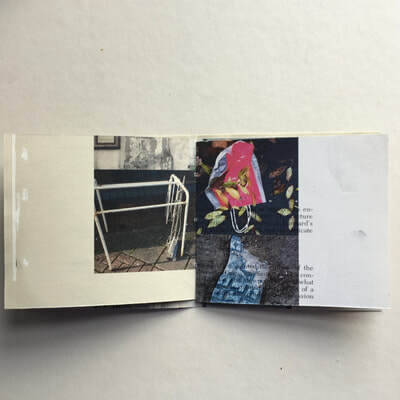 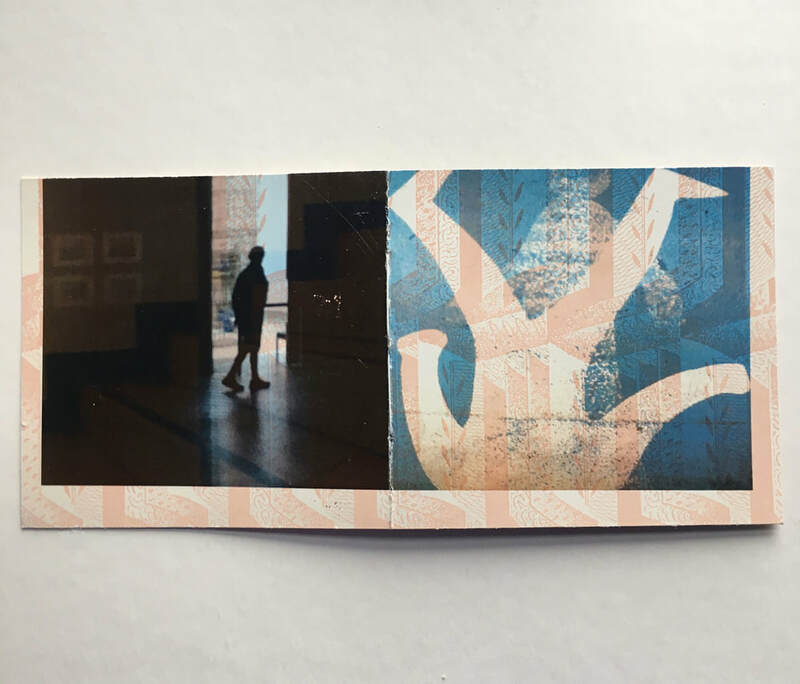 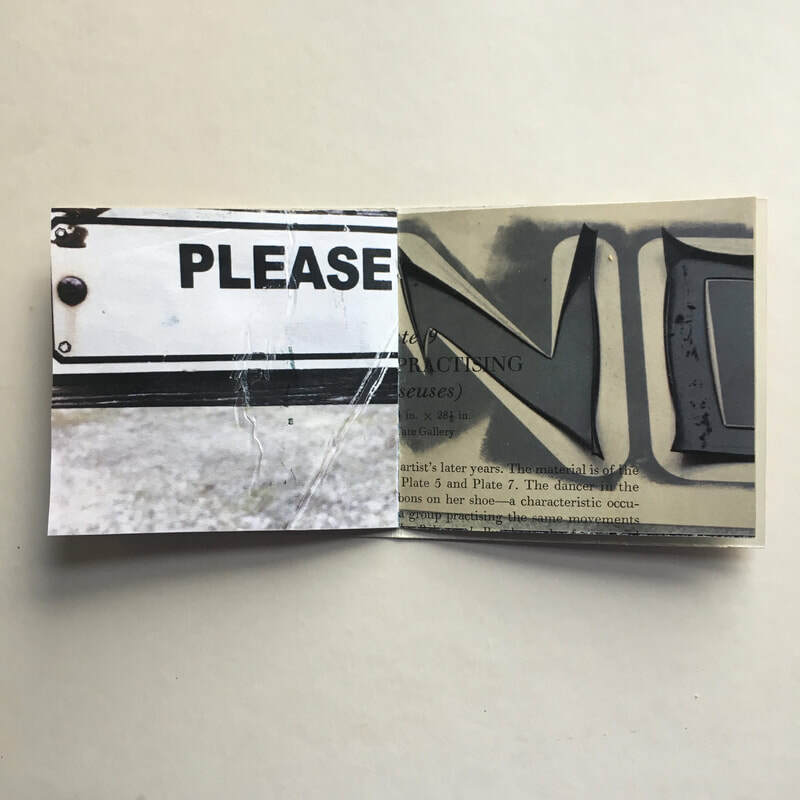 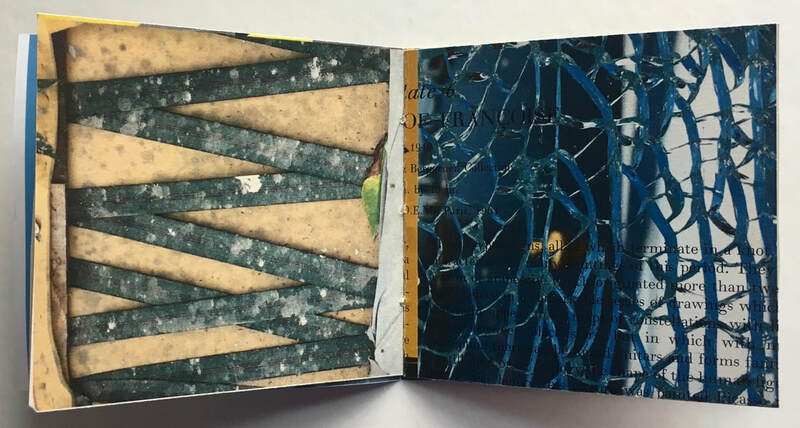 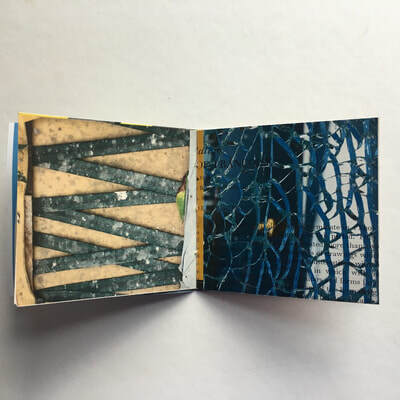 The photographs are printed onto the faber gallery pages that I use in my collaged pieces which adds to the fragmentation of text and subject matter. 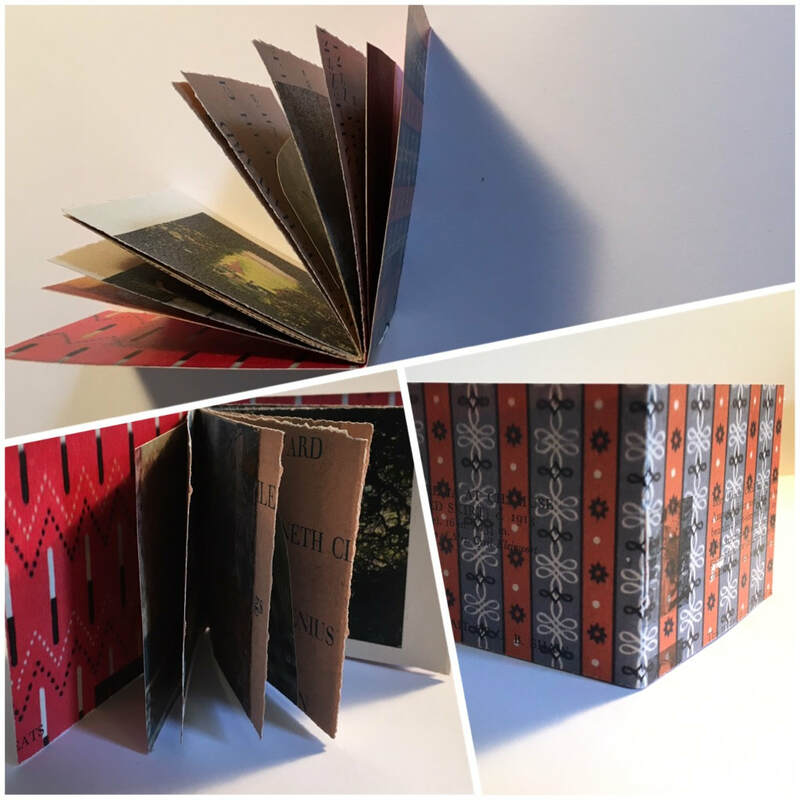 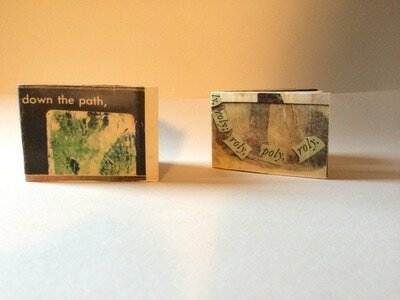 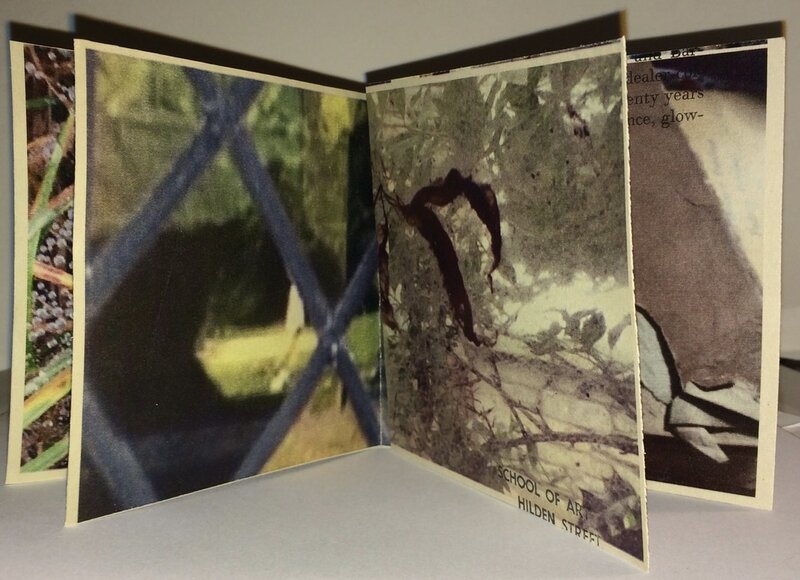 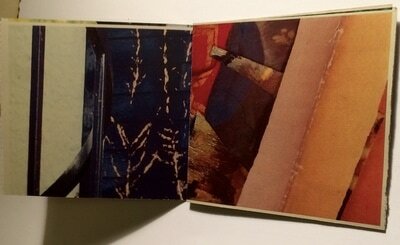 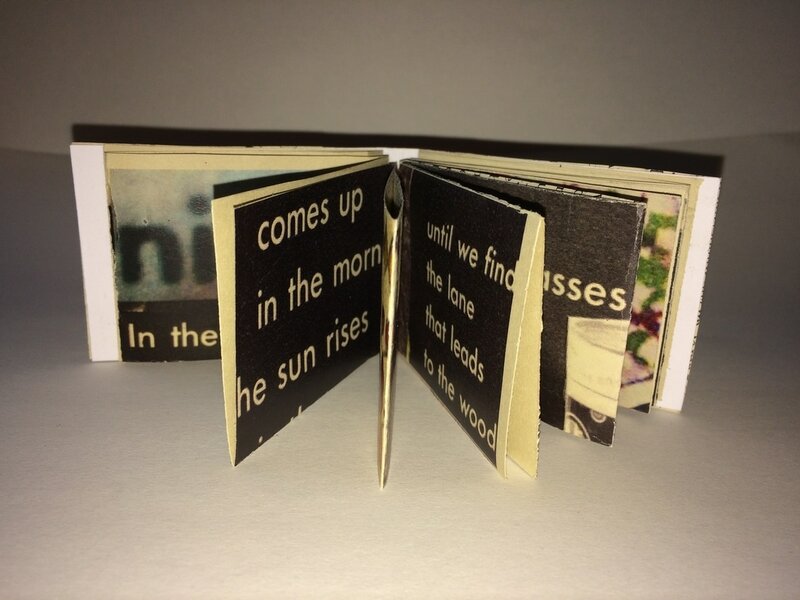 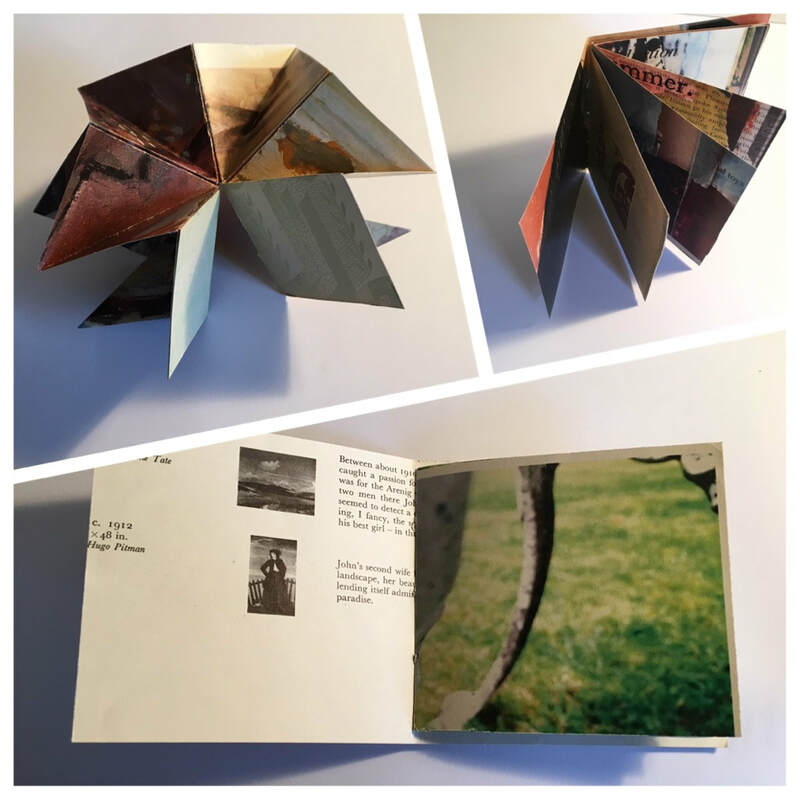 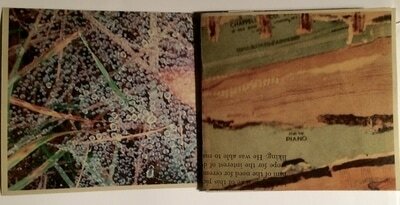 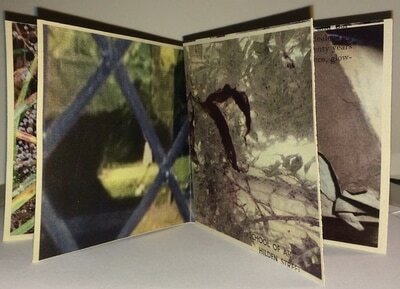 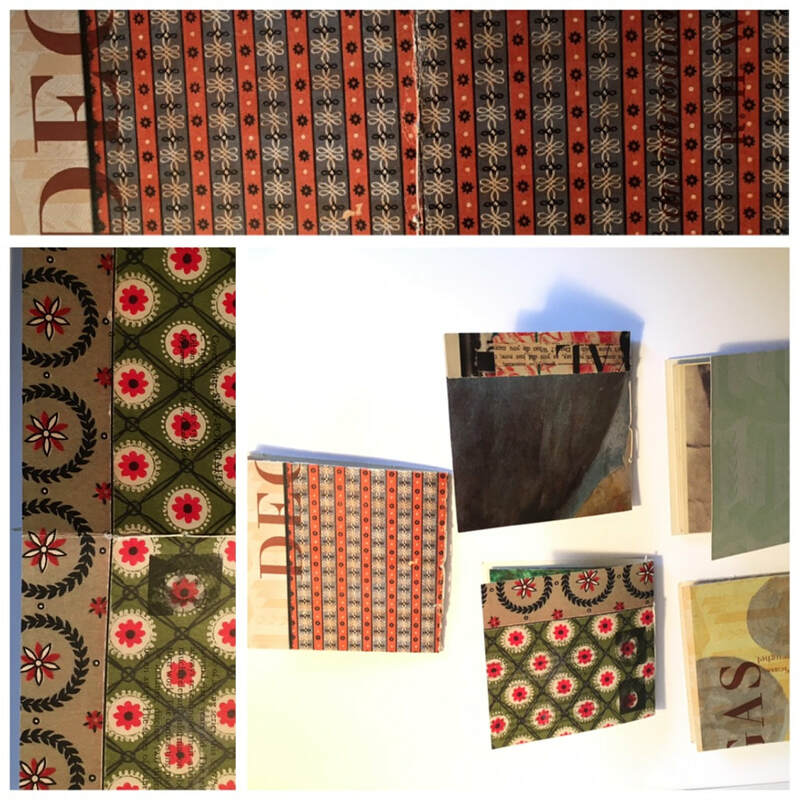 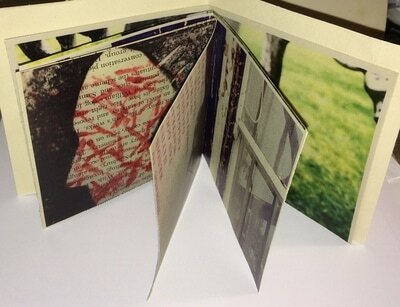 These books combine images from my original altered books with sections from present work and my photography. 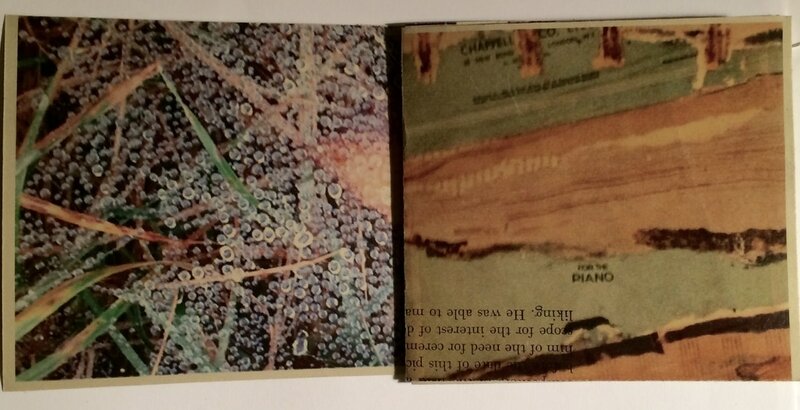 The books seem to encourage a play between placement of images and enhance the fragmented nature of the work. 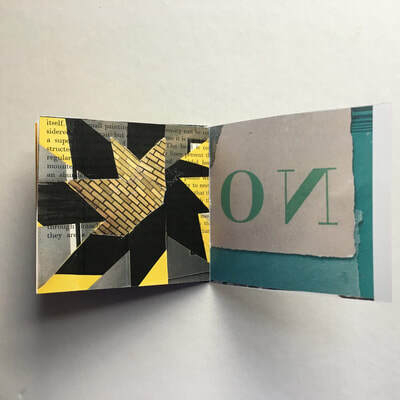 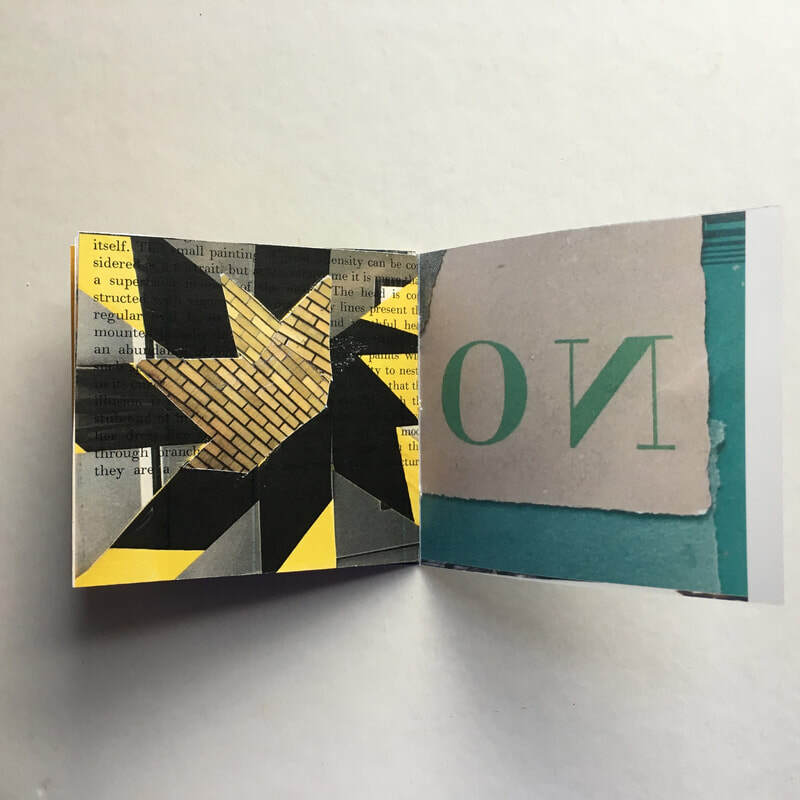 Our group, first met, whilst doing the year long bookmaking course at Hot Bed Press in 2016. 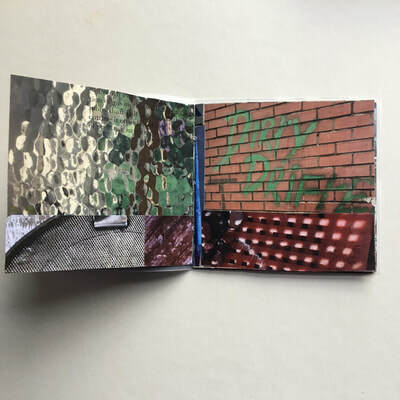 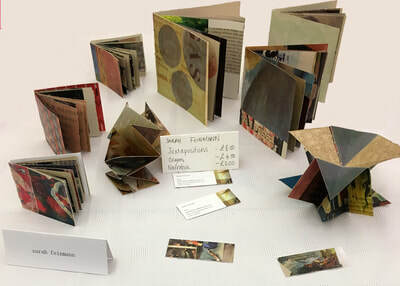 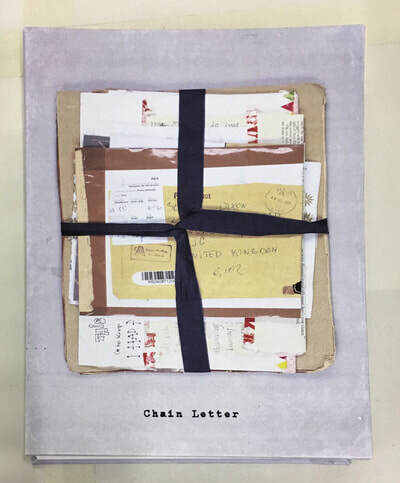 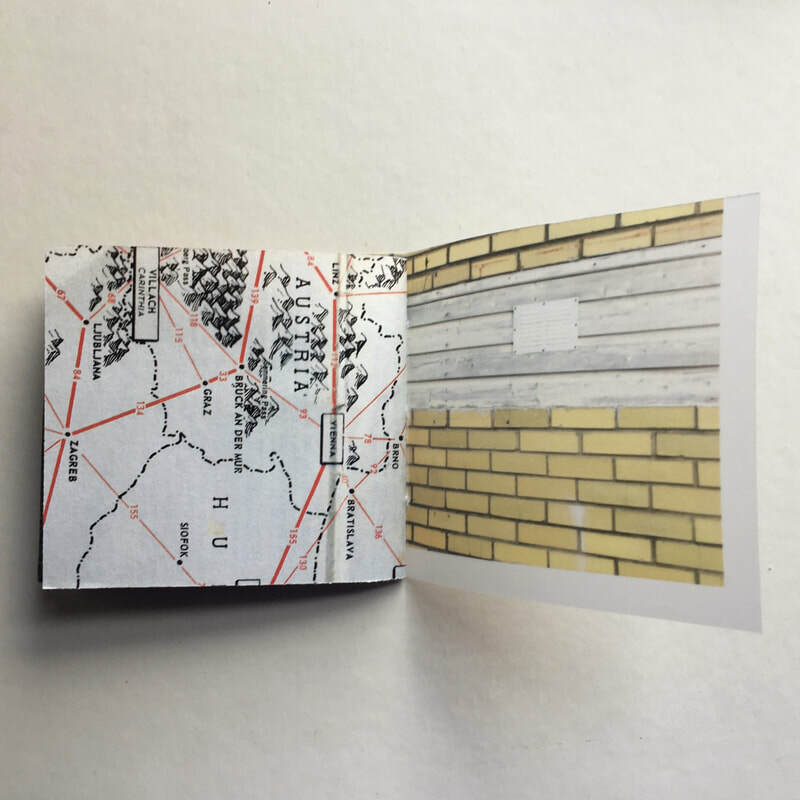 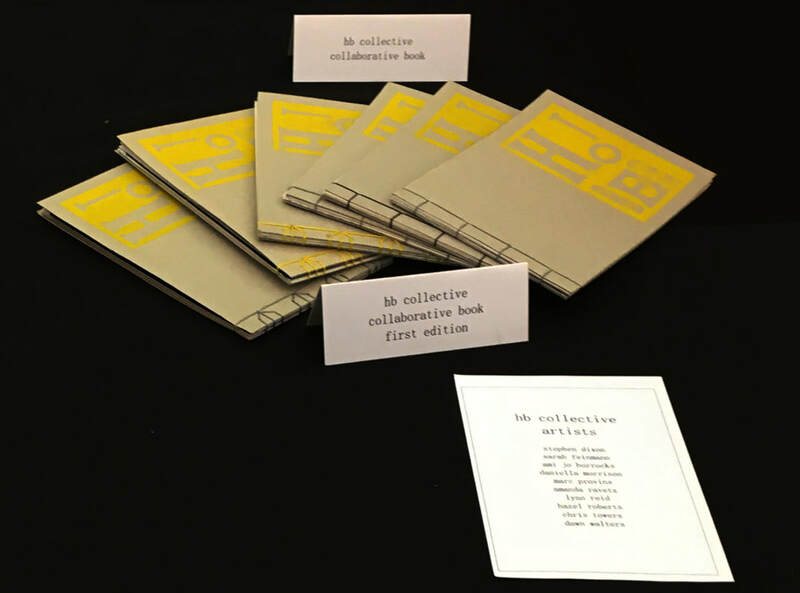 We continue to meet up, make collaborative books and exhibit at artist book fairs including Liverpool, Manchester and Leeds.